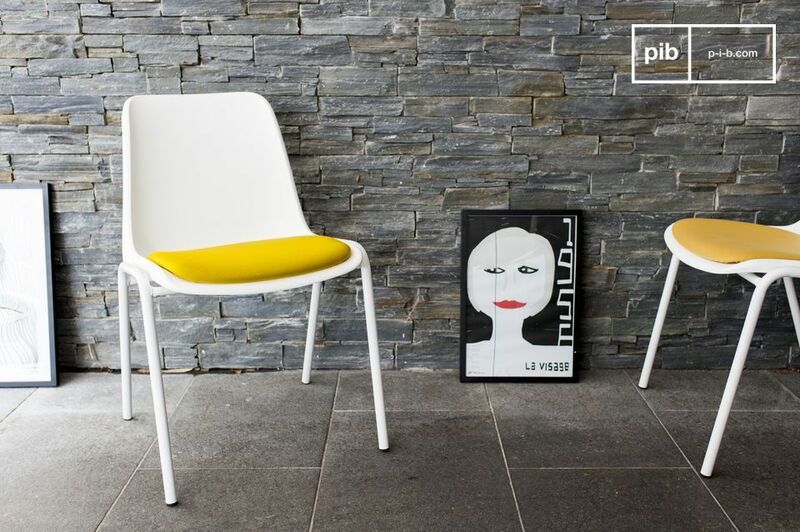 Inspired by the 1950s, the modern Sören chair is immaculately white and coloured with a foam padded seat. 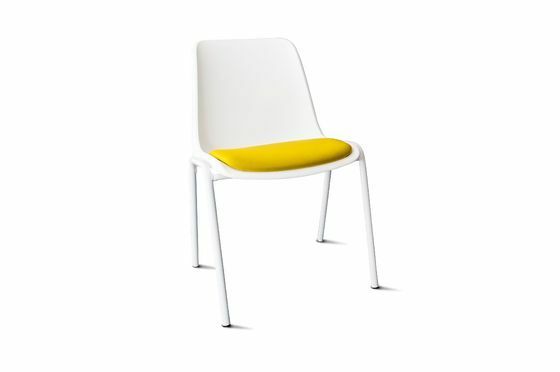 The shell that forms the seat and back of the Sören design chair is made of high quality white plastic. 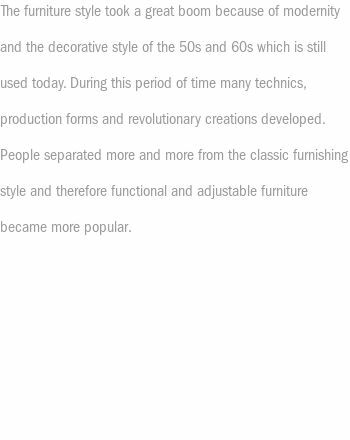 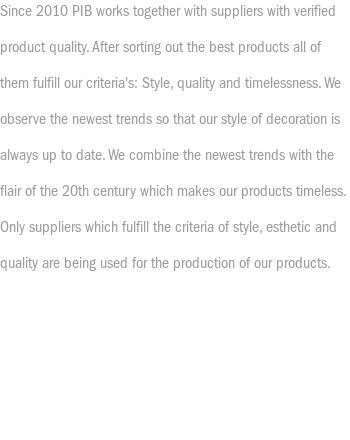 It rests on a robust white metal base. 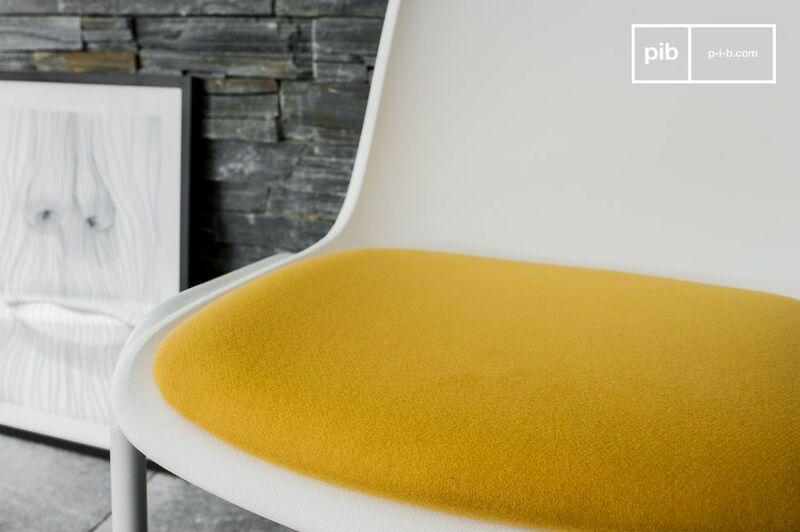 Designed with 80% wool and 20% nylon, the colorful seat of this design chair offers a lot of comfort for long hours sitting around the dining table or at your desk.